Gingerbread, ginger snaps and ginger ale are familiar products made from the root, or rhizome, of the ginger plant (Zingiber officinale). The plant grows to 4 feet in height and, although not as striking as ornamental ginger, occasionally blooms. 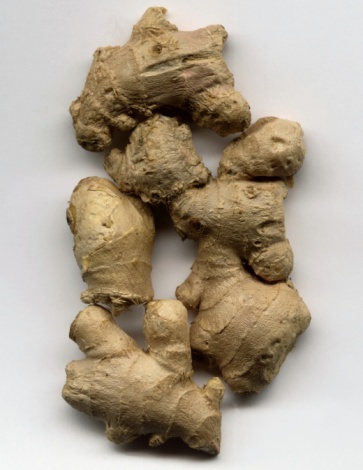 Ginger is a tropical plant that thrives outdoors in U.S. Department of Agriculture plant hardiness zones 8 through 12, although gardeners in cooler regions grow ginger in large containers. Plant ginger in early spring. 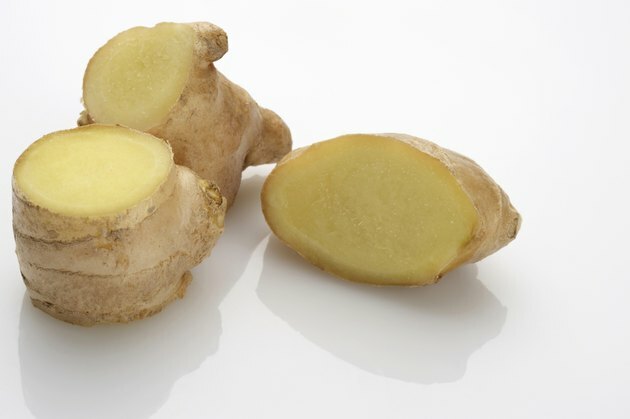 Allow the cut ends of ginger roots to dry so that the pieces don't rot after planting. Cut the piece of ginger root into 1-inch-long pieces, each having at least one "eye." The eyes are the structures similar to the eyes of the potato. Set the pieces in a warm, dry area until they callus over. This typically takes two to three days. Choose a sunny spot for planting and prepare the ground by mixing 3 inches of compost with 3 inches of sand. Plant the ginger pieces 1 inch deep and at least 15 inches apart. Water the ginger bed and keep the soil moist while the ginger pieces form roots. You will know this has occurred when they sprout above the soil.